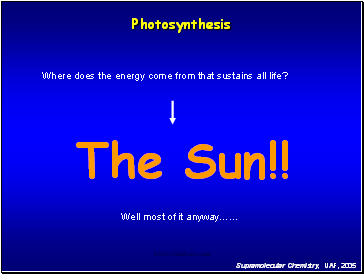 Where does the energy come from that sustains all life? 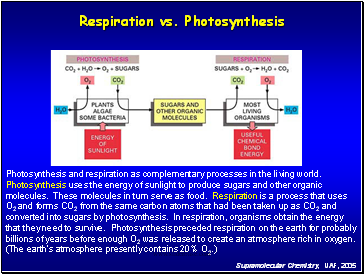 Photosynthesis and respiration as complementary processes in the living world. 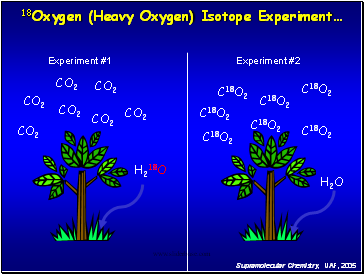 billions of years before enough O2 was released to create an atmosphere rich in oxygen. 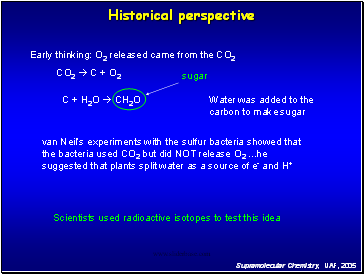 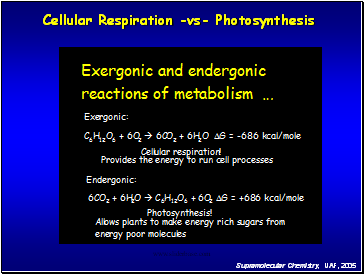 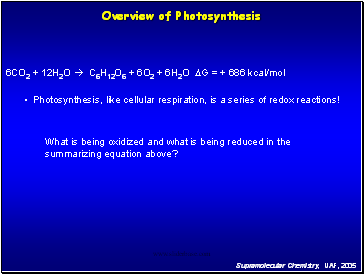 Photosynthesis, like cellular respiration, is a series of redox reactions! 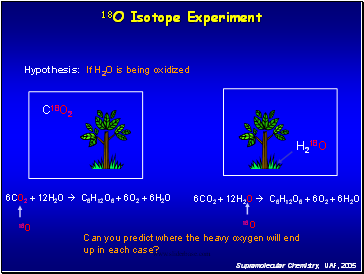 What is being oxidized and what is being reduced in the summarizing equation above? Can you predict where the heavy oxygen will end up in each case? 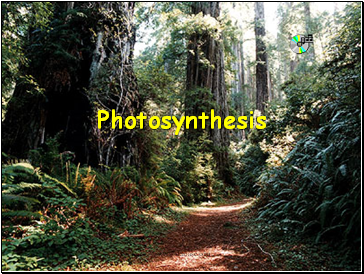 What does this suggest about photosynthesis?